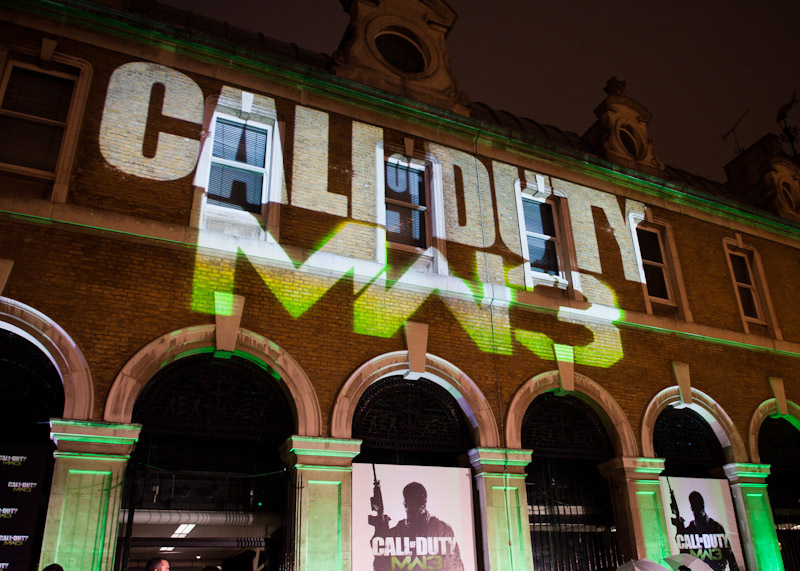 The 7th November 2011 saw the European launch of Call Of Duty: Modern Warfare 3 at Old Billingsgate Market. The game went on to set records by grossing more than $775 Million Worldwide within it's first five days. The game launch featured an exclusive performance from the No.1 selling artist Example and a DJ set from Chase and Status. Celebrity guests included: Ashley Cole, Labrinth, Sam and Billie Faiers, Lauren Pope, David Haye, Fazer, Imogen Thomas, Jack Whitehall, Joey Essex, Mike Tindall, Rizzle Kicks, Sophie Ellis-Bextor.